That's a very cool looking plant, George! I love the way it looks. It's odd as hell. I've only seen pictures of the Ducksfoot variety. Yours looks better than any I've ever seen! How's it smoke? Is it the same as any regular cannabis? Great colors as well. Enjoy! Hey @allotment and @Joanna09 welcome to the page!! 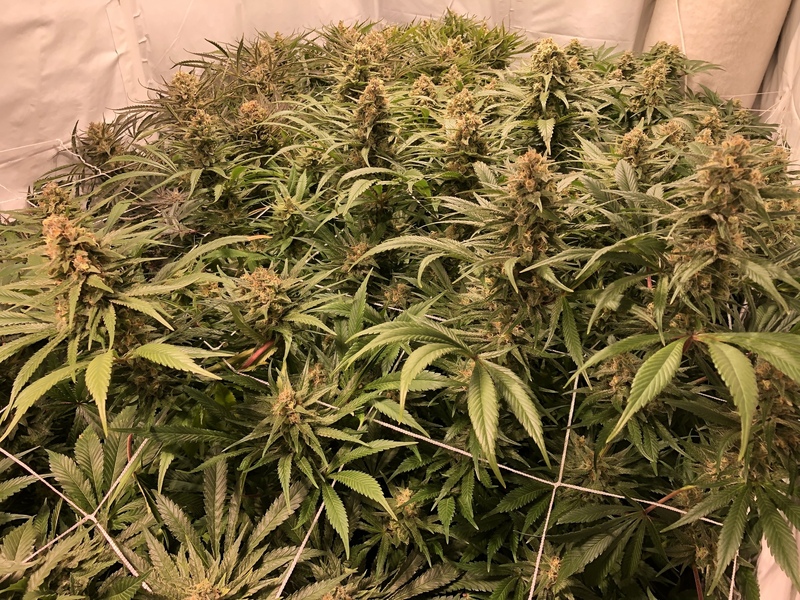 Be sure to check out the grow FAQ tons of great tips can be found there. Just thought I would post an intro here. Been on a couple forums and actually only found OG because I was doing a google search for Bodhi as everything I have seen has been amazing and the philosophy even better. In Canada and can tell where by my user. Brief history: did some outdoor bagseed planting in the late 70s but had no idea what to do but still happy with some green leaves at the end of the summer. 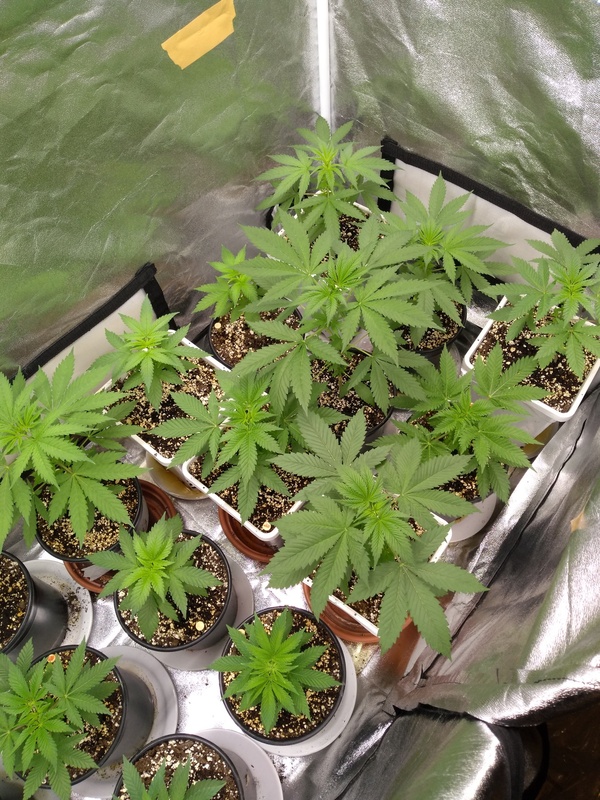 Then in the mid 90s got a clone from a friend in BC and did 3 indoor grows before I shut it down cuz I just couldn’t handle the paranoia every time I came home. Sure wish there was carbon filters then and sure wish I still had that lady. No idea what she was but came from legit growers there. Just got my medical grow approval at end of last year and now trying to finish my first crop. Will see if I can upload a pic here from last weekend. Real mix of strains that I wanted from all the different ones I have tried mostly from LPs in the last year or so. (Blimburn Grizzly Purple Kush & GSC, BF G13 Haze, FML Grapefruit, CNK GG4, SLH, TUT, NL). Wanted others but those were all I could find available. Making lots of mistakes and reading and learning a lot and will get better. My hope is to get a few outdoor males for pollen and try to start making some things that I think i would like but wow is there so much out there. Hoping to find some local friends to trade with. Seems a lot peeps these days just want to keep things to themselves and not trade or share. Each to their own. I am enjoying this and never would have stopped if the fear of getting my door kicked in and handcuffed wasn’t there in the first place. At least I have that piece of mind now with a yearly renewal. Cant wait to be able to retire and spend my time doing this therapeutic thing I love. 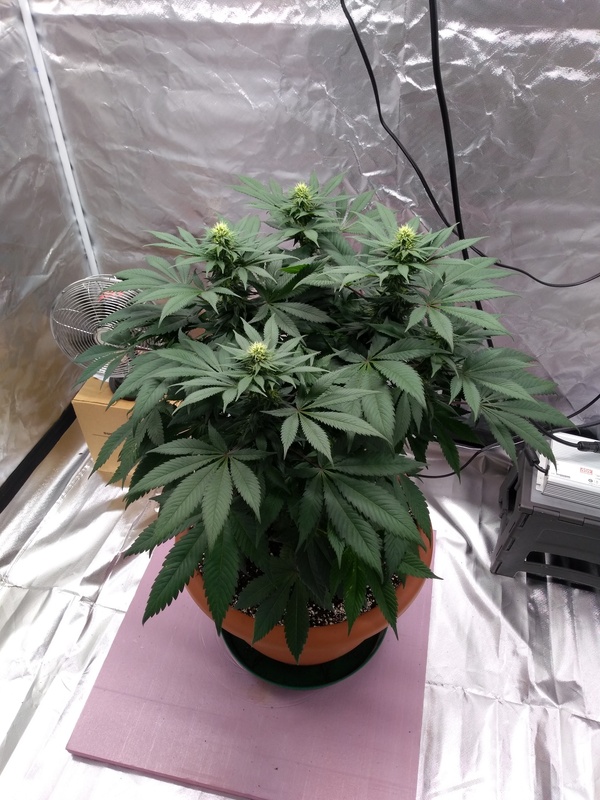 Hi @MBVapester , a very warm welcome to the Overgrow! I am enjoying this and never would have stopped if the fear of getting my door kicked in and handcuffed wasn’t there in the first place. At least I have that piece of mind now with a yearly renewal. Cant wait to be able to retire and spend my time doing this therapeutic thing I love. That is awesome, peace of mind is a wonderful thing. Looking forward to reading about your grow experiences. @MBVapester welcome to the page. Glad to have another Canadian maximizing the system ACMPR is the way to go. Welcome TS! Good people here, Enjoy! 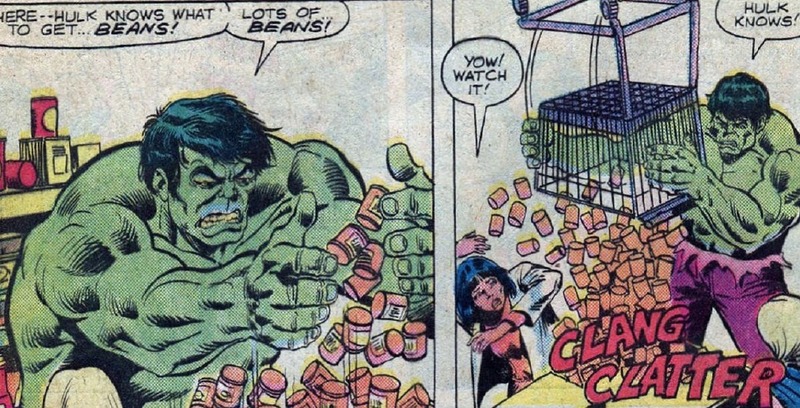 Herbie likes beans. Herbie has friends. Friend give Herbie beans...Now we gone watch the beans grow! Damn son! 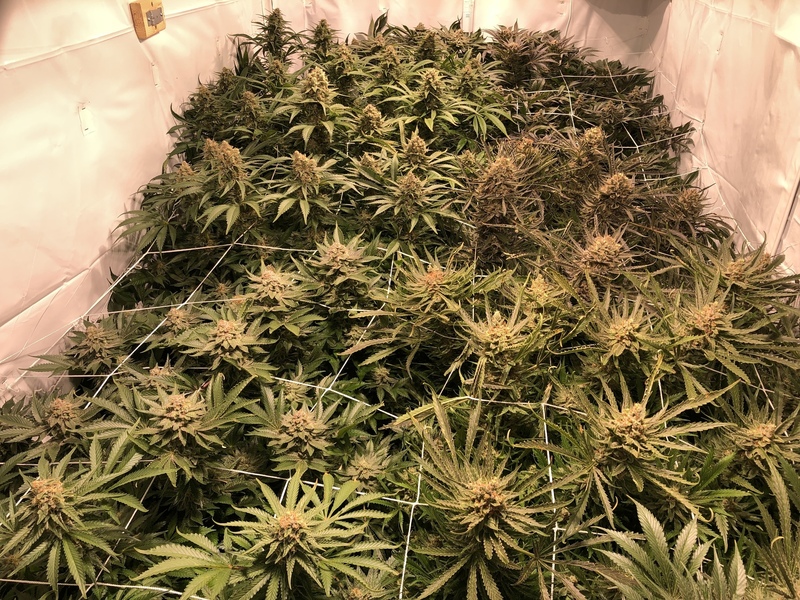 Looking good in that grow room , welcome to OG what’s your style of grow ? It’s working whatever you doing keep up the great work! Running hydro drip system all home made with GH base trio and cal and si. 4x8 orca and a last minute scrog net put in just for support. 3 x 315W CMH lights. 12 plants in there with various LST, topping, manifolding. Just tried different things I have read to see what I want to continue with. Here’s another shot from the other end from Friday. Very nice bro! They look very happy. Ever have problems with PM in a crowd like that? Just curious. Not so far. Have 2 x 6” and a 12” fan along the floor and the same above plus a hurricane and both intake and exhaust fans with a portable a/c vented thru the side so lots of air movement but yes it is crowded. Say hello, make some friends. Ebud is helping me with my Tin Foil Forest and doing a fine job at that. Hello all!! This seems like great community to join and be part of. Well the outdoor season is officially upon us. Happy spring and happy gardening to all! Hopefully I can contribute in some way, thanks. Welcome to the funzone @Ebud! Welcome Ebud! Cool place this is. Lots of good peeps. Lots of stellar knowledge.